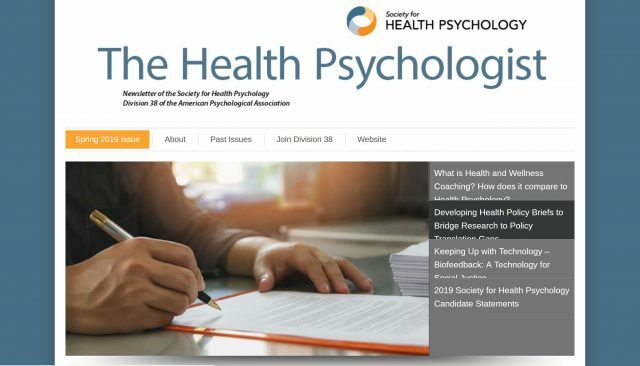 The Spring 2019 issue of The Health Psychologist is now available! Visit the newsletter here or peruse the table of contents below. What is Health and Wellness Coaching? How does it compare to Health Psychology?